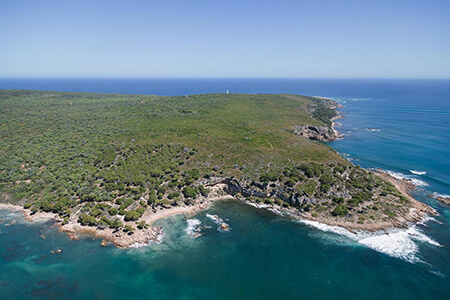 Fly over beautiful regional landmarks including Dunsborough, Bunker Bay, Moses Rock, Injidup Point, Cape Mentelle, Redgate Beach, Hamelin Bay and the Blackwood River to name just a few! We can land along the way for refreshments or to stretch the legs and break up this fantastic route around the South West Cape! From calm golden beaches in Geographe Bay to windswept rocky ocean outcrops at Cape Leeuwin, Boranup Forest to Lake Cave and Canal Rocks, this flight has everything!